When Mama plays the piano it makes Pa's toes tap and his feet dance. 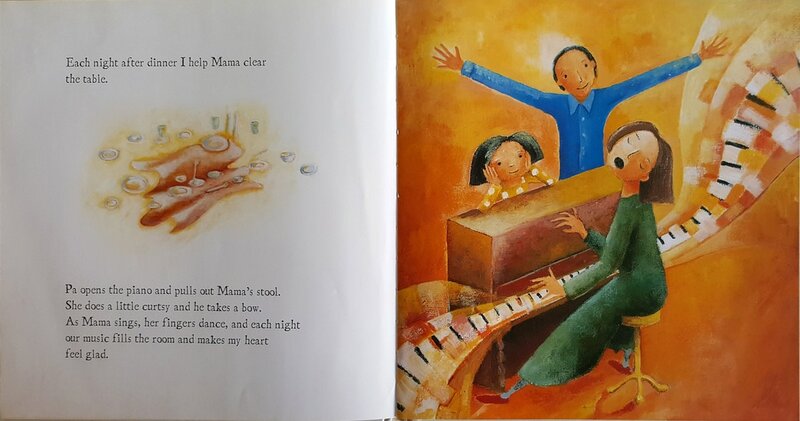 Every night after dinner, the family pack away the table and Pa pulls out the piano stool and Ma's fingers dance and create magical music, and dancing happens on the way to bed. When war comes and the family begin to go without, they know they still have their music and the piano and dancing feet cover the sound of marching boots and planes in the sky. Until one day, their precious piano is gone. In its place is a sack of potatoes. The colour leaves their world until they realise that the music isn't gone and they can still live with hope. Inspired by a true family story of sacrifice during the second world war, this story celebrates the sacrificial love of family and how hope can overcome all odds.